Follow @pspyouth on Twitter, Instagram and Snapchat. 'Four one two' meets most Wednesday nights, teens make connections, share insights and concerns, and grow in faith. ​They gather with young adult small group leaders and our Youth Minister. The name is from the first book of Timothy. A vital aspect of all our ministry to youth are the Peer Leaders. The Peer Leaders help engage our confirmation candidates by acting as mentors and facilitators during our weekly Confirmation sessions, our annual retreats, and at 4:12 youth nights. ​If you are confirmed and are interested in joining our team, or if you have any questions, contact Brett Becker. 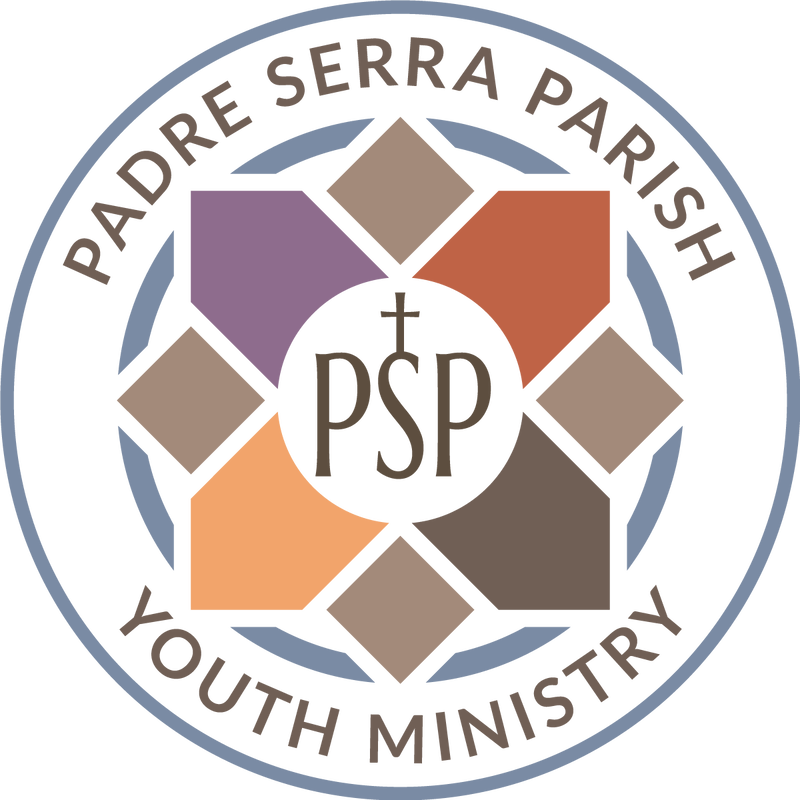 We have a loving and welcoming process at Padre Serra through which high school teens are prepared to be received into the Church. Infants and very young children are baptized based on the faith of their parents, godparents and the community. But teens, capable of having a faith of their own, are initiated through the Rite of Christian Initiation of Adults (RCIA) process, adapted for children. Teens participate in Sunday Sessions (11:00am - 2:00pm) for half the year then they participate in a weekly hands-on ministry of their choosing for the other half of the year.